Customers need to feel that they are being acknowledged when they choose to do business with you, and timing is everything. If you could reward your customers at key stages in their buyer journey for maximum effect, wouldn’t you want to do it? As for your employees, there’s nothing quite like knowing their hard work is appreciated after they’ve completed a difficult task, and getting that instant recognition keeps them on a high that will motivate them further. So how can you guarantee you reward your customers and employees at the right moment? The answer: e-Gift Cards! 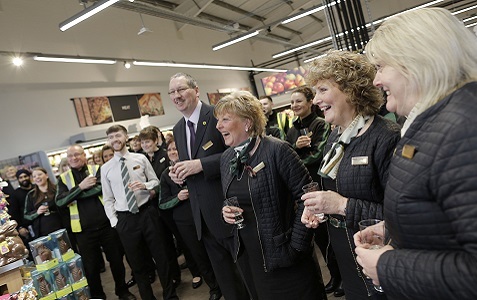 Whether they’ve just made a purchase, signed up to your service or completed an outstanding piece of work, let the excitement and delight of receiving an M&S e-Gift Card consume your customers and employees during the moments that really matter. With M&S e-Gift Cards you can arrange the distribution to your recipients, or you can let M&S do all the hard work for you. Our Corporate Gift Campaign Managers can mass send e-Gift Cards daily at no additional cost. Or, if you want to tackle the distribution yourself, we can provide you with a list of URL links to your e-Gift Cards so that you can send them out as and when you please. Give your customers and employees the choice of the very best food, drinks, clothing or home and furniture items with an M&S e-Gift card. Contact our team today to discuss your requirements.